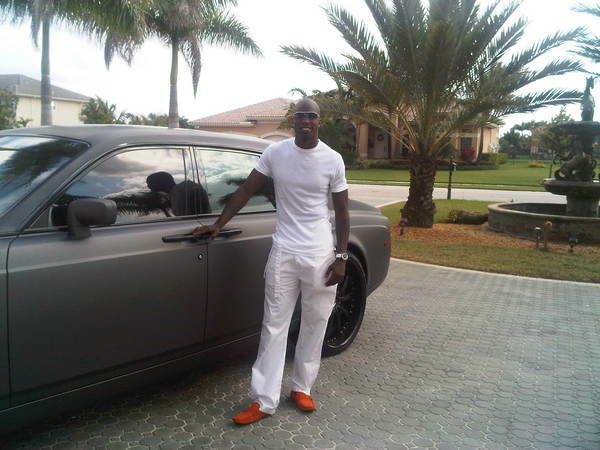 This is what NFLer, Chad Ochocinco wore to the beach. Pay attention to the ORANGE SHOES! His Twitpic description said: "Headed to relax at the beach,music,cigar,red bull-cran juice and people watching"
I guess he makes up for it with this baby blue sports coat he sported this weekend. Don't they make a cute couple? 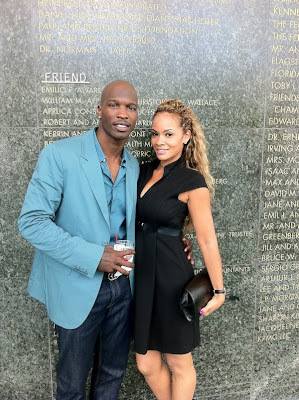 Evelyn looks great.